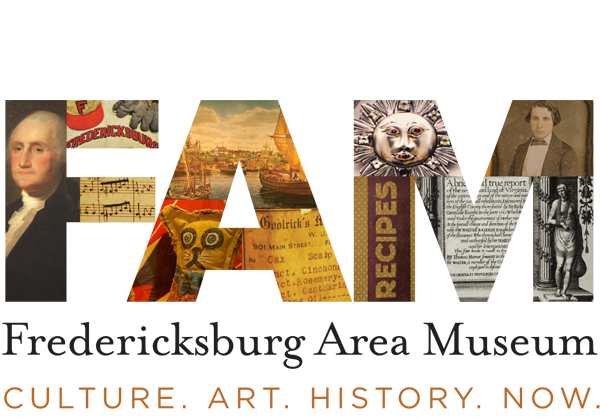 The Fredericksburg Area Museum (FAM) is pleased to announce the return of their lecture series, Evening With An Expert. This year series “Evening With An Expert: Our Community’s Diversity” will celebrate Fredericksburg’s diversity while, examining how we can create a more inclusive future. 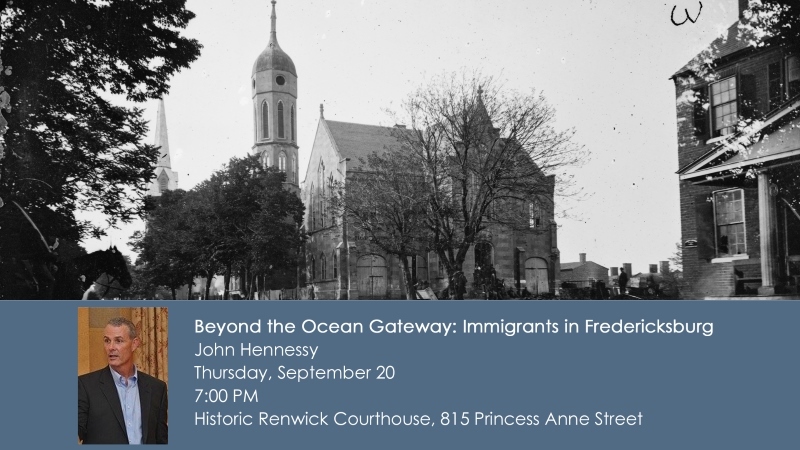 On September 20th, Evening With An Expert welcomes Historian John Hennessy for “Beyond the Ocean Gateway: Immigrants in Fredericksburg.” John Hennessy’s talk will explore the story of immigration and immigrants in Fredericksburg–how the immigrant population has evolved over centuries, how it shaped the community, and the imprint of immigrants and immigration on the town and region. It is a story woven with hardship and triumph, with some surprising twists along the way. These programs will be held at the Renwick Building (previously the Fredericksburg City Renwick Courthouse), 815 Princess Anne Street, from 7:00 – 8:30 pm. Evening with An Expert is a FREE program. For additional information on this program, please contact Theresa Cramer, tcramer@famcc.org, or 540-371-3037, ext. 138.